Full attendance at the meeting has been approved for 11.5 RANZCR CPD points. The Society for MR Radiographers & Technologists (SMRT), A Section of the International Society for Magnetic Resonance in Medicine (ISMRM) is the leading non-profit organisation that provides an international forum for education, information and research in magnetic resonance for radiographers and technologists throughout the world. 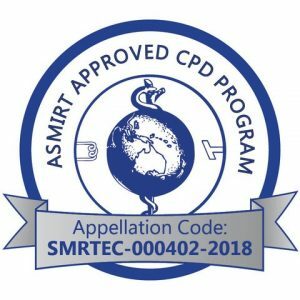 The SMRT was established by technologists, clinicians and scientists of the ISMRM as a forum for radiographers and MR radiographers to share their expertise and educational resources, with a common goal of improving healthcare for people worldwide. As an organisation, we are committed to promoting education, communication and the dissemination of cutting-edge MR developments. The objective of the SMRT is to advance education and training, while striving to promote a high level of knowledge and professionalism in the field of MR radiography and technology.